Get your glitz and glamour on, for the finest moment we’ve all been waiting for is finally here! Chin up and keep that passion for fashion burnin’ as we celebrate Paris Fashion Week 2016. As we all know, the Paris Fashion Week is a much-awaited event in the fashion industry. This is a moment where all the biggest names and the best brands get together to provide us with a wonderful and jaw-dropping fashion show experience. The Paris Fashion Week is a golden chance for fashion designers around the world to showcase their skills, expertise and art in fashion designing. It is also an opportunity for these designers to make their names in the industry and be known with their craft. With the wide array of fashion influence and styles designers exhibit on this event, there is really something to wait for and look forward to. However, one event that outstands in this year’s Paris Fashion Week is the Asian & European Fashion Show In Paris 2016. Watch out for the finest styles and the best haute couture looks this event will parade on the runway. Also, the event will be packed with VIP guests and 12 outstanding designers across the globe. Therefore, this Asian & European Fashion Show in Paris 2016 is a Paris Fashion Week highlighted event you can’t afford to miss. This Fashion Show 2016 is a much-awaited fashion event under the season 5 of Asian & European Fashion Show in Paris. This event is a project organized to introduce new fashion collections created by very talented world designers. It is an opportunity for these fresh fashion collections and their respective designers to make their names and influence in the fashion industry. Also, this highlighted event is Paris Fashion Week 2016 is a great head start for fashion designers across the world to exhibit their art and passion in one of the fashion capitals of the world, Paris. 12 pioneering fashion designers across the globe will be showcasing their incredible fashion pieces on this Ready to Wear Fashion Show 2016 event. These pieces will be worn best by 15 specially chosen models that will give them the most appropriate look on the runway. In addition, this Fashion Show 2016 will be celebrated with delightful cocktails and a great line-up of entertainers to keep the night young and merry. 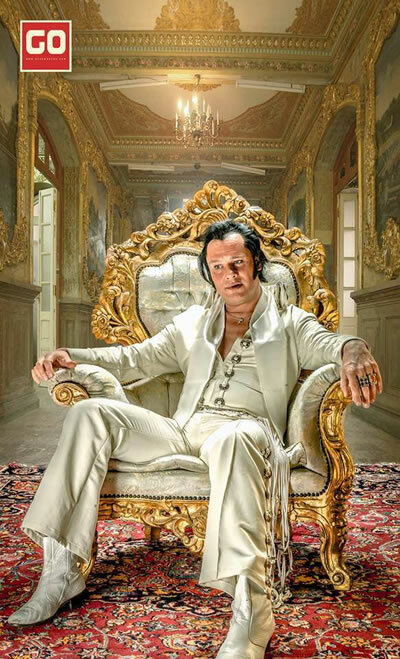 Guido Elvoice Regenhard, a German singer who has a singing voice like Elvis Presley’s will be in the fashion show to sing for us the timeless classic songs of the King of Rock and Roll. Jacqueline Hettiarachchi, a Sri Lankan artist, will also be there to perform during the event. There will also be a special VIP guest top model that will grace us with her presence. With the complete line-up of fashions designers, new exquisite collections, entertainers, spectators and guests will we have on this event, it is truly this year’s memorable and unforgettable fashion event. Payal Savanur is a fashion designer that has earned her bachelor’s degree in textile design from the National Institute of Fashion. She was also able to hone her skills in fashion designing by taking an intensive fashion design course in Istituto Marangoni in Paris. Payal practices her art, skills and expertise in fashion designing by planning ready-to-wear collections with various themes and for different companies. Nathali Yahampath is a fashion designer that has established her name in Sri Lankan fashion industry. Her works have been praised by her fellow Sri Lankans, especially women, because of the beauty and uniqueness her collections possess. Nathali is a fashion designer at Nathali’s. Dimple S. is a fashion designer that has earned her skills and knowledge in fashion designing from Istituto Marangoni in Paris. Rakesh Sharma is a fashion designer from India. Sri Lanka’s upcoming Bridal model and Public figure. This Ready to Wear Fashion Show 2016 is organized and presented by Rex Christy Fernando and his team from Studiofdo. Also, fashion TVs, international fashion magazines and the French media will be covering this fashion event. Also, this Ready to Wear Fashion Show 2016 will be featured on different media and publications such as Waqt News Pakistan TV, Paris Fashion News Magazine, Elegant Magazine, Vogue, Hi Magazine, Ceylon Today, Life Online, and DN-Mag.com Magazine. If you wish to watch and take part on this Ready to Wear Fashion Show 2016 but you cannot personally go on the event itself, fret no more, for this Paris Fashion Week 2016 much-awaited event will also be up for live streaming on Facebook. You can also say your thoughts, opinions and what amazes you during this Ready to Wear Fashion Show 2016 event by posting them on Twitter. With the wide array of new and exquisite collections, entertainment and surprises this Ready to Wear Fashion Show 2016 has in store for you, it is really a fashion event to watch out for! This fashion event will showcase outstanding ready-to-wear fashion collections from designers across the globe. 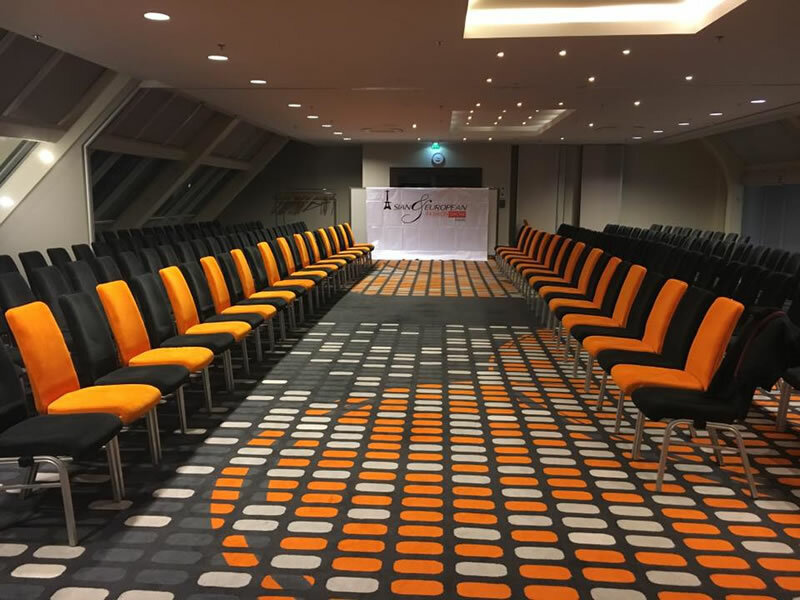 Of course, everything’s prepared and the runway’s all set to delight your eyes, give you motivation and inspiration, as well as to stimulate your passion for fashion through the wonderful fashion pieces you will see on the show. This is an invitation-only event or Défilé privé et Uniquement sur Invitation. Therefore, if you wish you go to the event, secure your pass by sending an email at aefspf@gmail.com. Mark your calendars, for this Ready to Wear Fashion Show 2016 will be on October 8, Saturday at 7:00 PM-9:00 PM in UTC+02. It will be held in the grand Hilton Paris la Defense, 2 Place de la Défense, 92800 Puteaux, France. Wear your best, blaze up your confidence and walk on the red carpet with grace and captivating presence. See you! Copyright 2015-2016 Sun Tat Label Fty. Ltd. All Rights Reserved. All other logos, products, and company names mentioned are trademarks of their respective owners and subject to their own copyright laws, Foreign or Domestic.